Chilkur Balaji Temple popularly known as Visa Balaji Temple or Visa God is an ancient Hindu temple of Lord Balaji on the banks of Osman Sagar Lake. 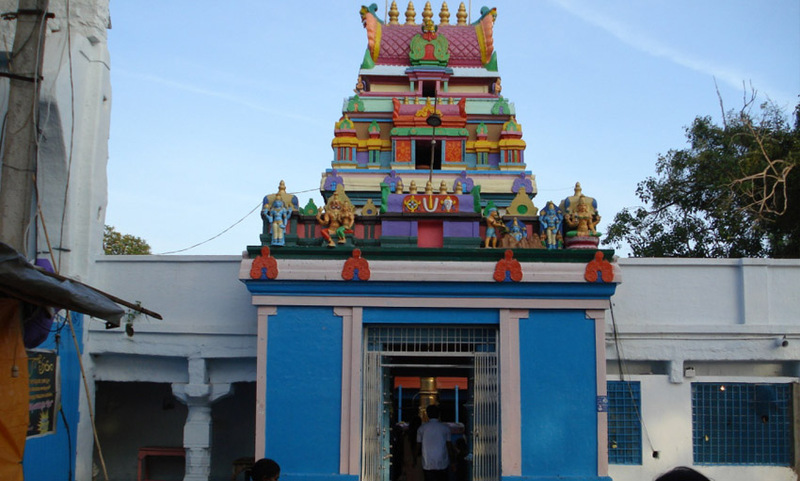 It is one of the oldest temples in Hyderabad. This temple does not accept any money from the devotees, does not have a hundi or grant any green channel privileges for VVIPs. The only fee it charges is for parking from which the entire temple is run. Golconda was the capital of medieval Golconda Sultanate . The Golconda fort was first built in 945 CE-970 CE. The region is known for the mines that have produced some of the world’s most famous gems, including the Koh-i-Noor, Hope Diamond and the Nassak Diamond. 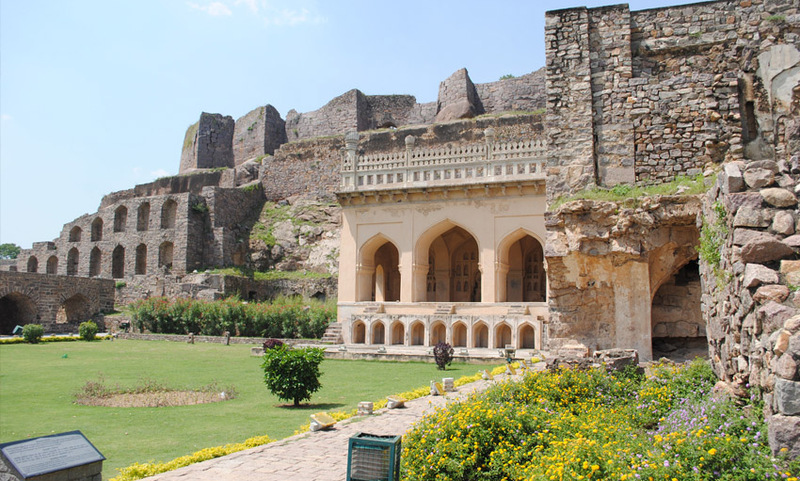 The Golkonda Fort used to have a vault where once the famous Koh-i-Noor and Hope Diamonds were stored along with other diamonds. 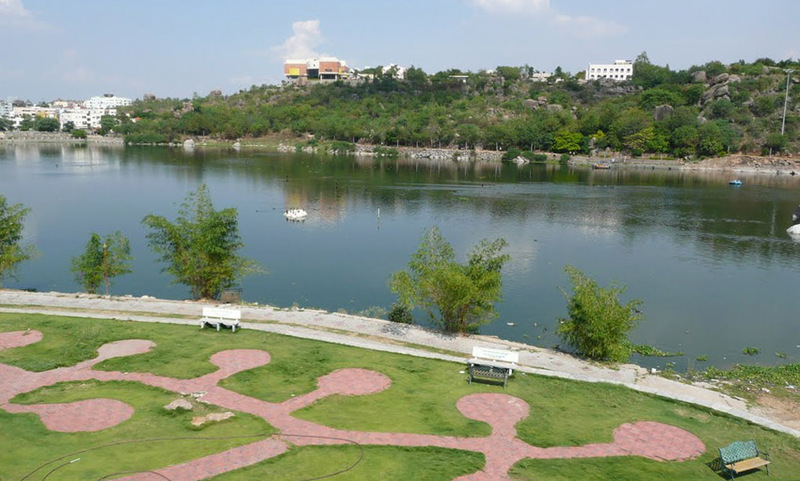 A freshwater lake spread over 83 acres this popular angling hangout has artificial waterfalls, a rock garden, floating fountain, walkway, restaurants and adventure activities like rock climbing, trekking and rappelling. In addition to this an art gallery and a sculptor park for artists were also introduced as added attractions. An amphitheater with a capacity to hold 1,500 people at a time was the most recent addition. Spread across 1666 acres, It is the largest integrated film city in the world and a popular tourism and recreation centre. The facility has been certified by Guinness World Records as the world’s largest film studio complex. Osman Sagar was constructed during the reign of the last Nizam of Hyderabad Osman Ali Khan, to provide an additional source of drinking water for Hyderabad. A popular tourist destination during the rainy season when the reservoir is full, it also has parks, resorts and an amusement park. 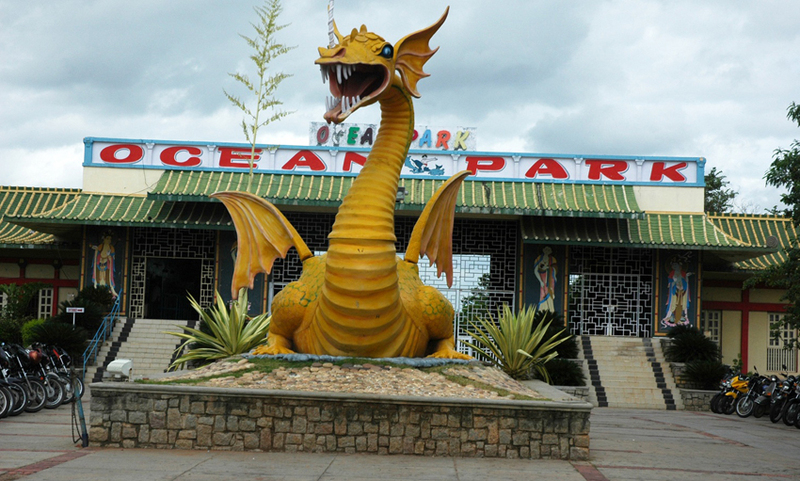 A theme park spread across a huge area it has two sections-one for water sports and another for amusement & games. This park offer something for visitors of all age groups. It has from water rides, kiddies pool, wave pool, water slides to dry rides such as superloop, the 60 feet high ride, bumping cars, slam bomb and many more. One can also go for Jet Skiing. Shilparamam is an arts and crafts village conceived with an idea to create an environment for the preservation of traditional crafts. The village has a scenic ambience of tradition and cultural heritage. The lush and serene environment of Shilparamam is sculpted with woodwork, jewellery, cloths and local crafts of each region of the country. Ethnic festivals are conducted throughout the year. 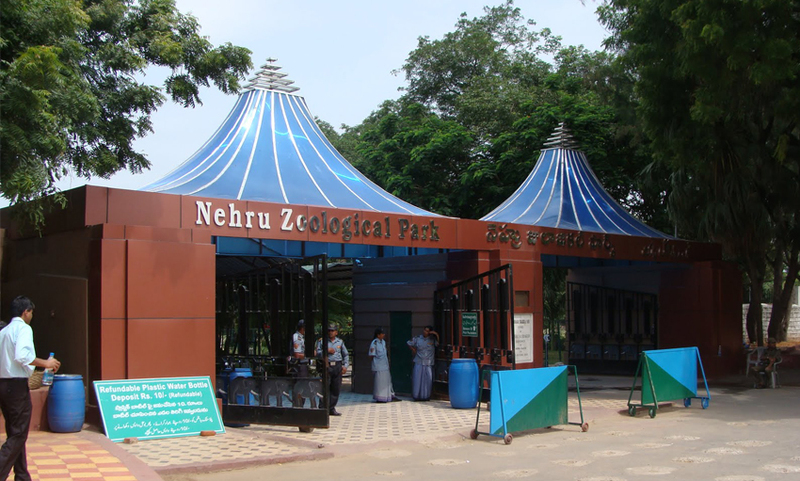 The zoo located near Mir Alam Tank is one of the most visited destinations in Hyderabad. Nearly 100 species of birds, animals and reptiles are housed at the zoo, including indigenous animals like the Indian rhino, Asiatic lion, Bengal tiger, Panther, Gaur, Indian elephant, Slender loris, Python, as well as Deer, antelopes and birds. The 600-acre Mir Alam Tank with its unique multiple arched embankment, attracts hundreds of migratory birds providing yet another attraction for the zoo. 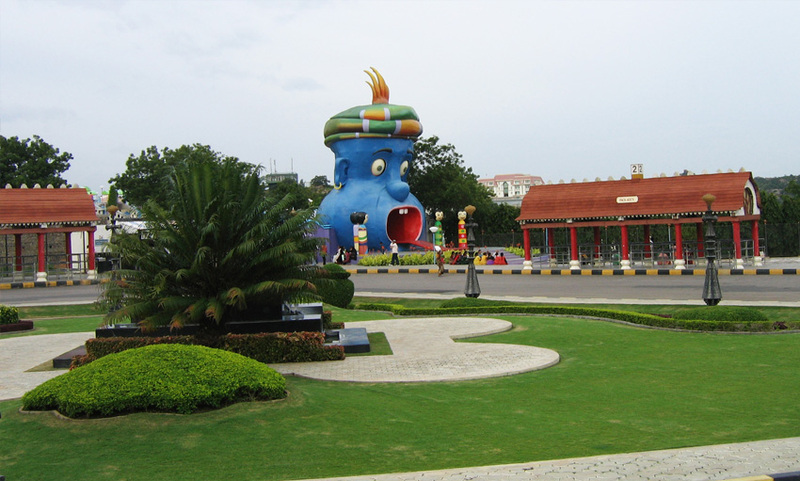 NTR Gardens is a small public, urban park of 36 acres adjacent to Hussain Sagar lake. It is located very close to other tourist attractions such as Birla Mandir, Necklace Road and Lumbini Park. 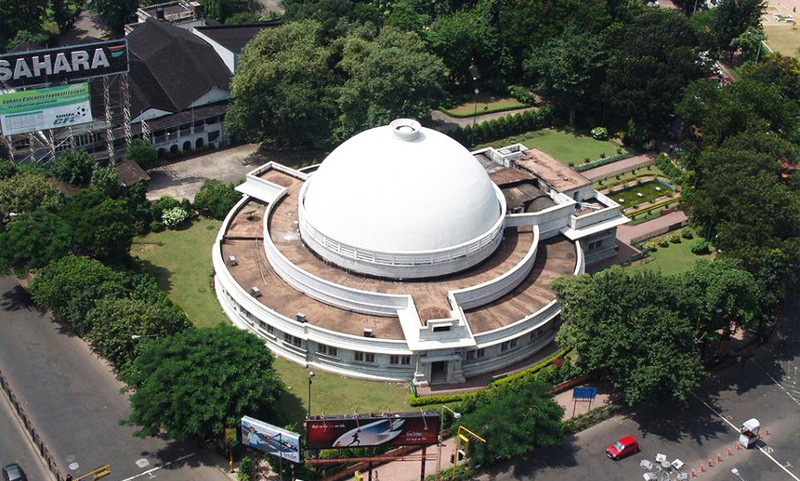 One of three Birla Planetariums in India, it has a planetarium, museum, science center, art gallery and a dinosaurium. The dinosaurium exhibits a 160-million-year-old mounted Kotasaurus yamanpalliensis, excavated at Adilabad district in Andhra Pradesh and presented to the Science Museum by the Geological Survey of India. Birla Mandir is a Hindu temple, built on a 280 feet high hillock called Naubath Pahad on a 13 acre plot. Constructed by Birla Foundation, this temple is open to all. 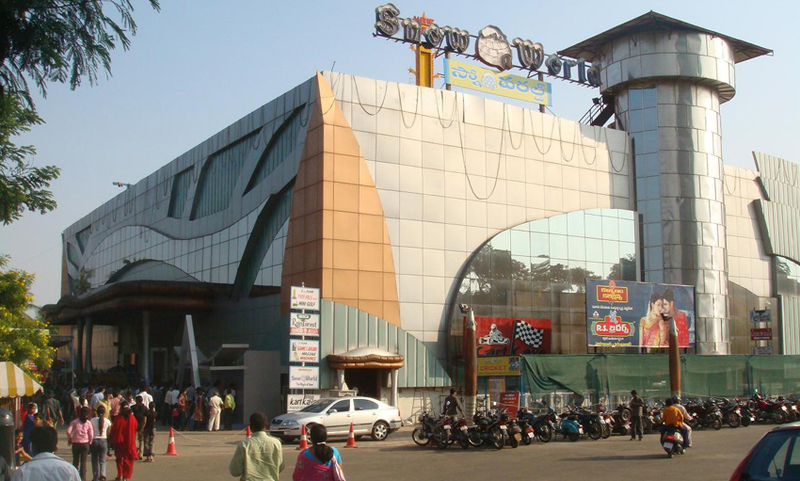 Snow World is an amusement park located next to the Hussain Sagar lake. The facilities include kids snow play area, snow wars, snow tube slide, sleigh slide, ice-bumping cars, merry-go-round and an ice skating rink. 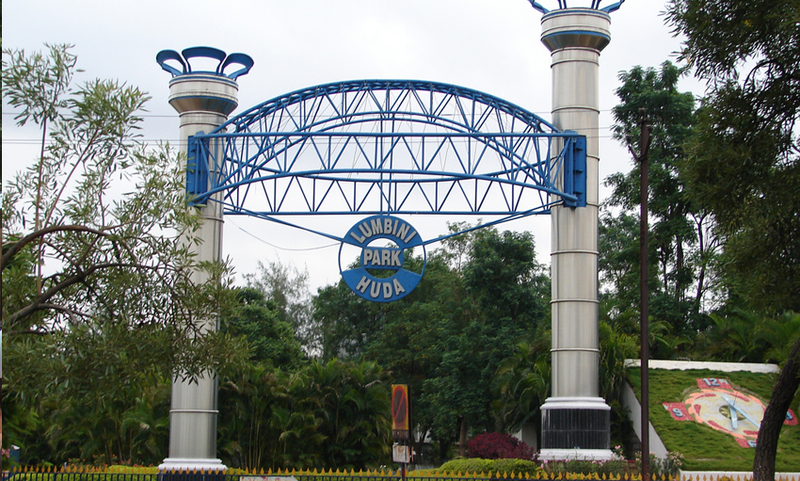 Lumbini Park is a small public urban park of 7.5 acres adjacent to Hussain Sagar lake. It is located in the center of the city and is in close proximity to other tourist attractions such as Birla Mandir and Necklace Road. It has a laser auditorium, gardens, musical fountain and boating facilities. 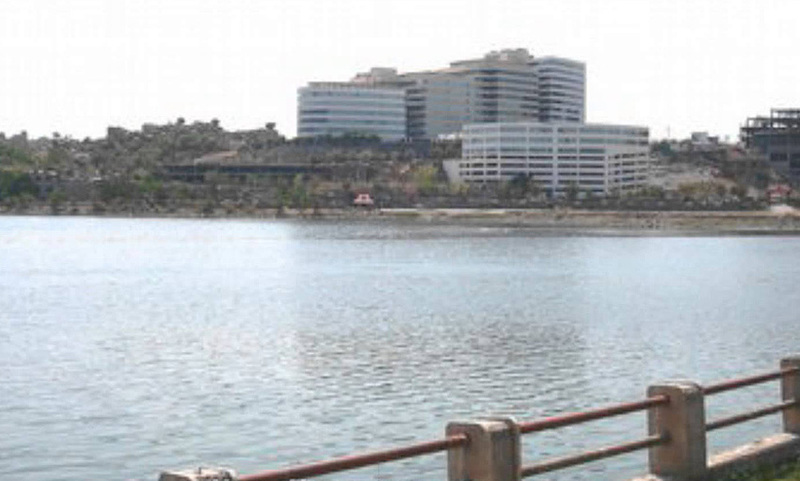 Hussain Sagar lake was built by Hazrat Hussain Shah Wali in 1562, during the rule of Ibrahim Quli Qutub Shah. 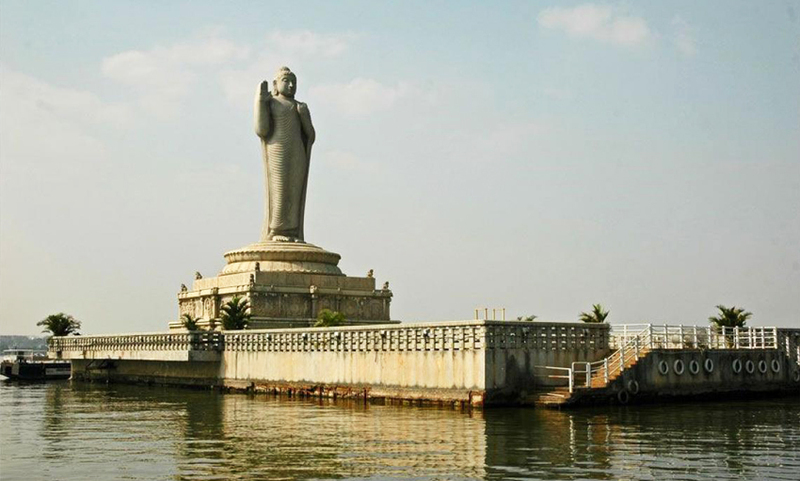 Spread across an area of 5.7 square kilometers the lake has a large monolithic statue of Gautama Buddha, in the middle of the lake. 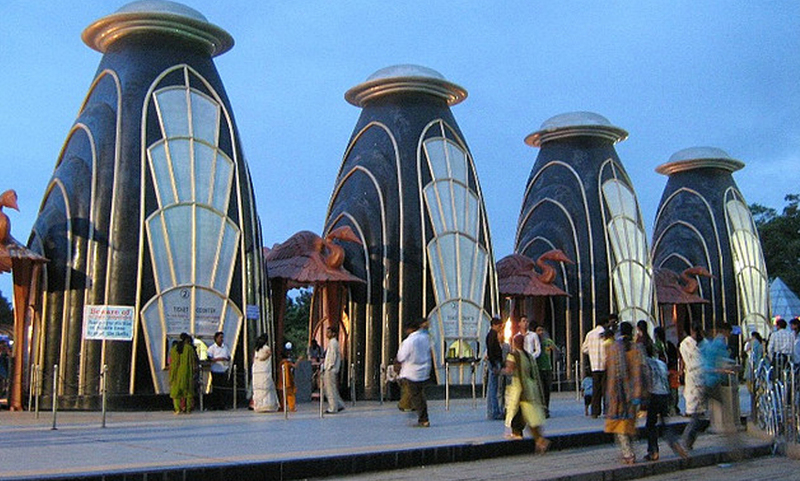 Located beside Sanjeevaiah Park along the Hussain Sagar lake, Jalavihar is a waterpark. The 18,000 square feet wave pool is the largest in the country and can accommodate about 1,000 people at a time. The park consists of two main zones – entertainment and party. The entertainment zone has water sports, wave pool, dry rides, mini train and food courts whereas the party zone contains open lawns that can accommodate about 2,000 people. 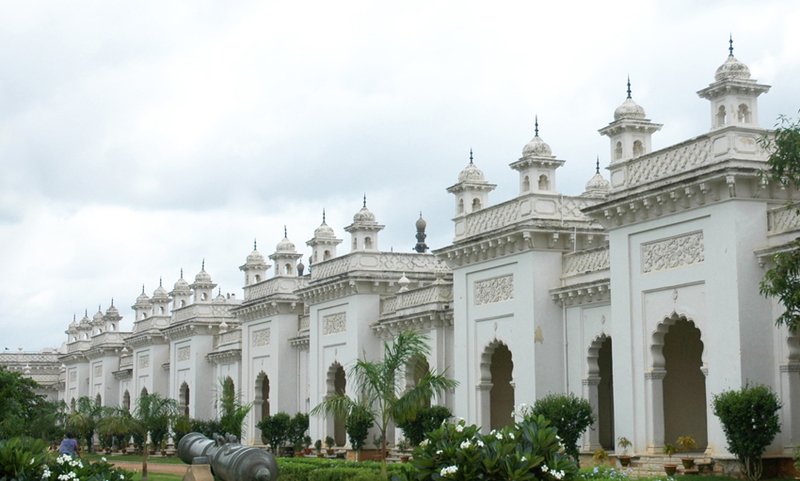 Chowmahalla Palace or Chowmahallatuu (4 Palaces), is a palace of the Nizams of erstwhile Hyderabad state. It was the official residence of the Nizams of Hyderabad while they ruled the state. 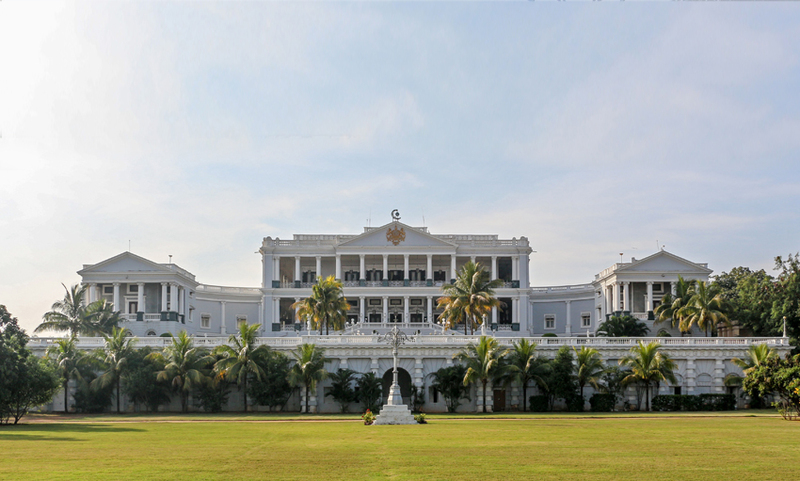 All ceremonial functions including the accession of the Nizams and receptions for the Governor-General were held at this palace. 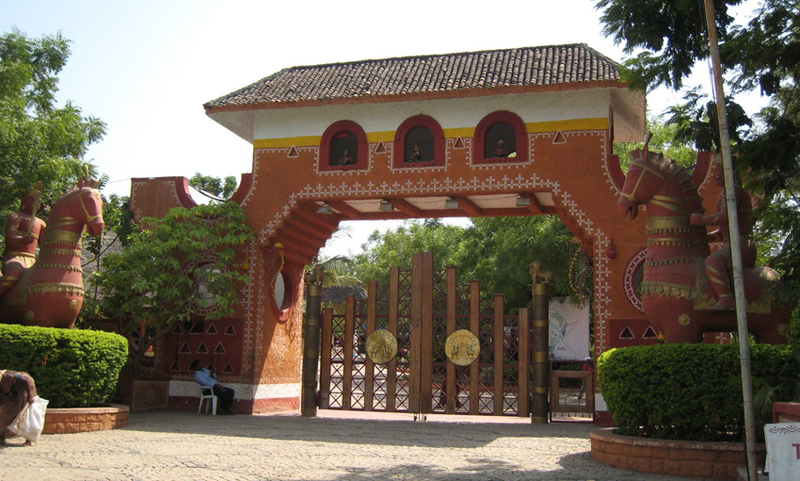 An art museum, it is one of the three National Museums of India. It has a vast collection of sculptures, paintings, carvings, textiles, manuscripts, ceramics, metallic artefacts, carpets, clocks, and furniture from Japan, China, Burma, Nepal, India, Persia, Egypt, Europe and North America. The Indian Parliament has declared the museum an Institution of National Importance. Falaknuma Palace, one of the finest palaces in India is on a 32 acre area in Falaknuma, 5 km from Charminar. The palace is a rare blend of Italian and Tudor architecture. The former residence of the Nizam of Hyderabad, Falaknuma Palace has been rightfully leased by the Royal Family of Hyderabad to the Taj Group of Hotels, Resorts and Palaces. Located 2000 feet above Hyderabad, Taj Falaknuma Palace has 60 beautifully refurbished and lovingly restored rooms. 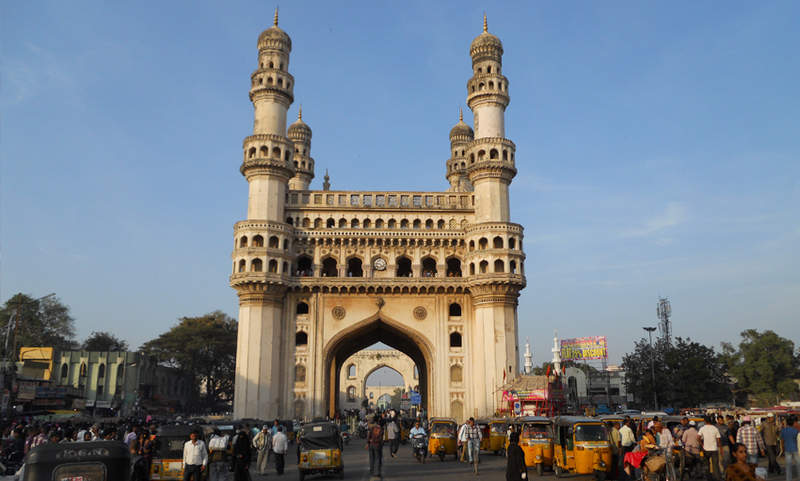 Charminar, the iconic landmark of Hyderabad is one of the most recognized structures of India. Built in 1591 CE, it is a mosque as well as a monument. On its west is Laad Bazaar, a very old market popular for bangles and to the southwest lies the richly ornamented granite Makkah Masjid.